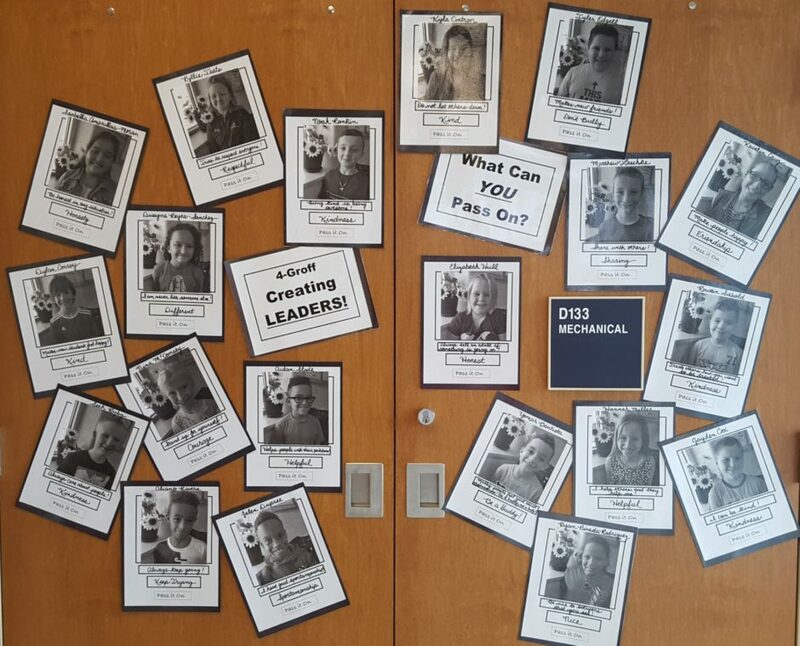 SUPER effort 4th graders, on the ELA PSSA tests this past week! You all worked hard and tried your best…and that is awesome! Next week we have 2 days of our Math PSSA’s. You can do it, 4th graders! Have a great weekend and see you on Tuesday! April 24th – We are taking the PSSA…No SWEAT! Wear sweatpants or sweatshirts. April 25th – Our future is BRIGHT! Wear neon colors. 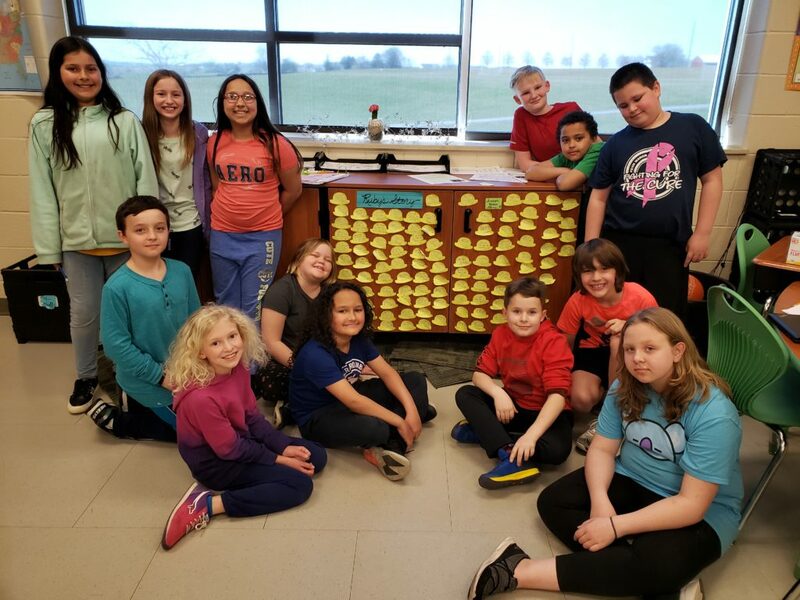 April 30th – We are a Hambright team! Wear a jersey or team shirt. May 1st – Hats off to a job well done! Wear a hat, but nothing distracting. ELA PSSA’s begin next week! April 24th – We are taking the PSSA. No SWEAT! Wear sweatpants or sweatshirts. coming home on TUESDAY, April 9th. Ask your 4th grader about Ruby Bridges! We WILL be having our Chapter 13 Math TEST on Area and Perimeter on Monday! Please REVIEW over the Ch. 13 Practice Test that we started in class today. Students, look over these this weekend, so that you are READY for the TEST on MONDAY!! Our Spelling Lists will continue to be difficult…thanks for your support at home with them! TDA…Text Dependent Analysis- We have been working VERY HARD on writing our 4-5 paragraph essays on various prompts. We will continue to practice these as they account for 25% of individual student scores on the PSSA. April 4- Day C / Phys. Ed. April 10- Day C / Phys. Ed. SNACKS needed- THANKS in advance for your donations!! It’s truly appreciated! Math TEST on Ch. 12 (Metric System) is TOMORROW, March 22! Students have a REVIEW packet to finish to help them get ready for the test. TEST corrections for this test will be DUE on WEDNESDAY, March 27. As always, thanks for all of your support at home!! We will start our next chapter (Perimeter and Area) on Monday. It’s a very short chapter, so we are looking to test on either Monday, April 1, or Tuesday, April 2. April 1- Day D / Music / New Spelling List #24 sent home / Ch. 13 Math TEST ? April 2- Day A / Library Instruction / Ch. 13 Math TEST ? TODAY Feb. 28th 3:30-5:00 Jump Rope for Heart…for those students who have raised money online or in their collection envelope. 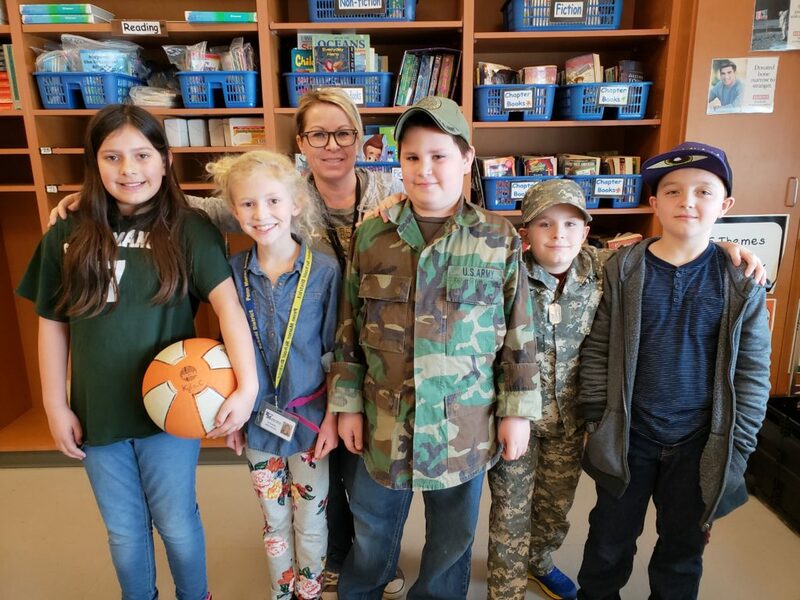 Students enjoyed dressing up for CAREER Day! We have future military members, a teacher, a professional basketball player, and a professional skateboarder! Thanks for participating, 4th graders! READING News: We have been busy writing our 5 paragraph text dependent analysis essays on various reading prompts, and we have enjoyed the stories “Because of Winn-Dixie”, “Firestorm”, and “The Stranger” from our anthology. MATH News: Ch. 11 Customary Measurement- Measuring length with a ruler to the nearest inch, 1/2 inch, and 1/4 inch has been tricky for some students. Thanks for any help with this skill that you can offer at home. Conversions has also been difficult. The students have been provided with various Mathematics Formula Sheets with the conversions on them to use as a reference throughout the chapter and for the upcoming chapter test. THANKS for your support on the homework each evening! SCIENCE News: Upcoming TEST on the PHYSICS Unit…Ms. Szentesy will announce the test date to students. Mar 13- Day C / Phys. Ed. Mar 19- Day C / Phys. Ed. Please notice the new dates for SPELLING & MATH on the schedule below! Students will receive Spelling List #18 this week, and the Spelling Test for #18 will be on Feb. 22nd. Our Math Ch. 10 TEST is scheduled for Wednesday, Feb. 20th. We will REVIEW for the test on Friday the 15th and Tuesday the 19th. Thanks for your support! Congratulations to our 4th grade Math Bowl team…Wes Groff, Miles Fetter, Anupama Neopany, and Micah Cruz for coming in FIRST PLACE in the district’s Math Bowl competition! A special thank you to Mrs. Heather Hufford, for coaching and helping our team to prepare for the competition. Way to represent Hambright, 4th graders! What an AWESOME accomplishment! The PTO wants to THANK all of those who have sent in address labels for our Race for Education fund raiser! They are still hoping to see more, so thanks in advance if you can help out our school! Feb. 22- Day C / Phys. Ed. / Spelling TEST #18 / Spirit Day~ Dress Like Your Future Career Day! Feb. 28- Day C / Phys. Ed. *Valentine’s Day– Students are welcome to bring in valentine cards to exchange on Thursday, February 14th, if they would like to do so. Class lists will be passed out for those students participating. Students, if you are participating, please make sure that all classmates are included when writing out your valentine cards. If students would like to bring in a shoe box to hold their cards and candy, they may do so at any time. I will have bags/envelopes for those that need them. Thanks! *Report Cards are coming home today. Please return the Report Card envelope (and sign on the 2nd Marking Period line), and the Parent Comment Sheet. Keep the actual report card. Thanks so much! *Ch. 9 Math Test will be on Monday, Feb. 4th! Our next chapter, Fractions & Decimals, is pretty short. Our tentative test date for that chapter is Feb. 14th. Thanks for all of your math support! Feb. 7- Day C / Phys. Ed. Feb. 8- Day D / Music / Spelling Test #17 / Spirit Day: Favorite Sports Team Jersey Day! Feb. 13- Day C / Phys. Ed. Feb. 20- Day C / Phys. Ed. Feb. 22- Day A / Library Instruction / Spirit Day: Dress Like Your Future Career Day! Feb. 26- Day C / Phys. Ed.